This morning we traveled to Sahab, a city located southeast of Amman, to visit Syrian refugee families living in the area. Sahab has earned a reputation as a tough place and is called by some “the city of thieves.” Sheikh Abu Sultan, a friend of the royal family, joined us and personally connected us to families in need in this area. 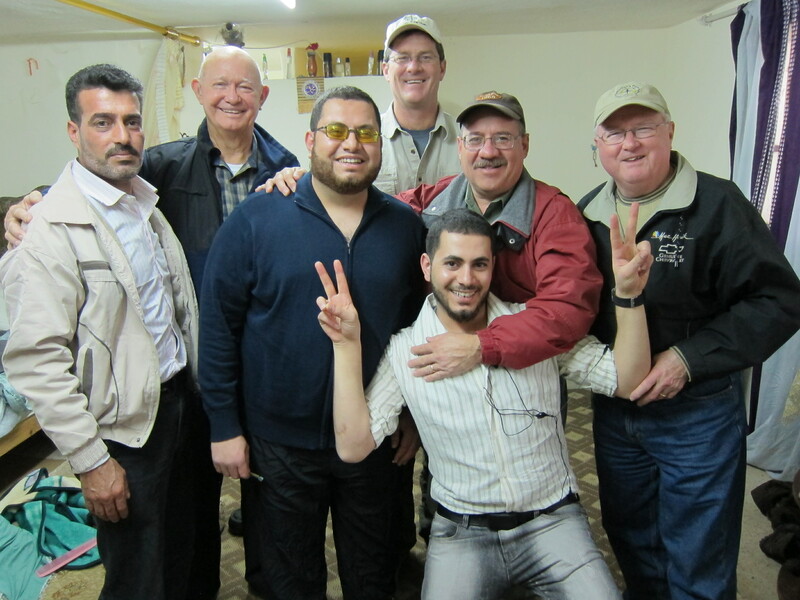 The sheikh loves our friends at Global Hope Network and their compassionate initiatives. We were grateful that he spent the morning with us. The first family we visited was relatively better off than most we have met over the past week. 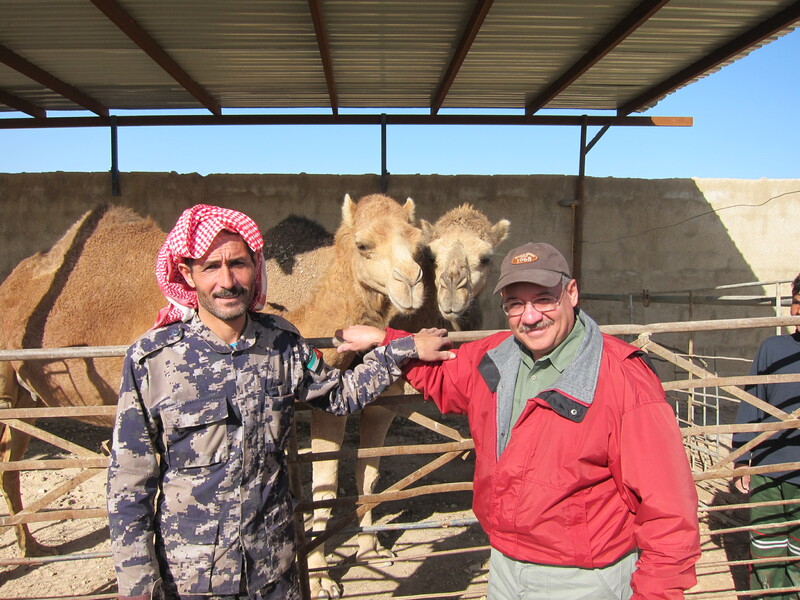 The father, who has Bedouin roots, found a job caring for sheep and cattle. The owner of the herds provided him with a modest little one-room house in the middle of a rocky and barren hill in exchange for his services. The Syrian man was grateful to have this job and to be able to have an opportunity to rebuild his life after losing everything in Syria. Having employment gave him hope of surviving this tough transition from his homeland. We also visited a large family that had arrived two days ago. The father told us that after forty-two girls in his area were killed and his neighbors were beheaded, he had no choice but to try to escape with his wife and their two sons and four daughters. His sister and her family also joined them. After spending eleven days in the overcrowded Zaatari refugee camp, he was allowed to leave with his family. He told us that we had been sent by God. He wondered why Christians would come to help him. We explained that we had come because we love God and love people. He wept, embraced us, and kissed us. After visiting several families in the area. We headed back to Amman to visit other Syrian refuge families. The final visit of the day was refreshing. We visited a blind young man and his family. Ten months ago this man’s younger brother had fled from the town of Daraa where the uprising against Assad erupted nearly two years ago. The younger brother found employment as a barber and then encouraged his brother to come to Jordan, not an easy thing for a blind man to do. But, in spite of the challenges, the blind brother made it from Daraa to the Zaatari refugee camp and then from there to Aman. We had the most pleasant visit with the blind man and his brother. Although his home in Daraa had been destroyed and although he had to overcome numerous challenges and depend on the kindness of others to escape, he was alive and reunited with his younger brother. The brothers, whose love for one another was obvious, have been together for twenty-two days. Neither of them could keep from smiling. The things they had lost meant nothing because they had each other. These brothers reminded us that we should always regard people as more valuable and important than things. You can replace things, but you can’t replace the people you love. Beautiful Omar! It’s so easy for me/us to live in our cushy homes, in our suburban neighborhoods, with plenty to eat, freedom to choose which church to attend/or not and lose sight of so many who are suffering around our Lord’s world… Once again, “The Hands and Feet of Christ” at work! You and your team inspire me! Good word, Sheryl. Thanks for your comment and for following our journey. Keeping all of you in my prayers. Please keep telling their stories, and may He continue to fill you with the strength and mercy you need. Thanks so much, Kristin. We’ve had a memorable time here in Jordan.